Google、Touch Bar用ドライバの不具合を利用し悪意のある攻撃者がシステム権限を取得、任意のコードを実行できる不具合をAppleが修正したと発表。 | AAPL Ch. 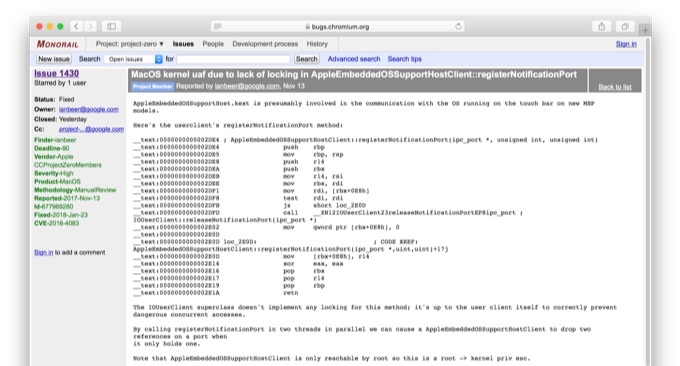 AppleEmbeddedOSSupportHost.kext is presumably involved in the communication with the OS running on the touch bar on new MBP models. […]This was fixed in MacOS 10.13.3 but not mentioned in the release notes.